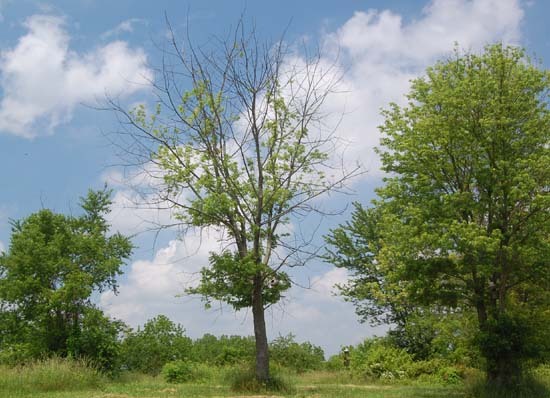 The ugly young maple is a silver maple behind the barn that is gradually dying. 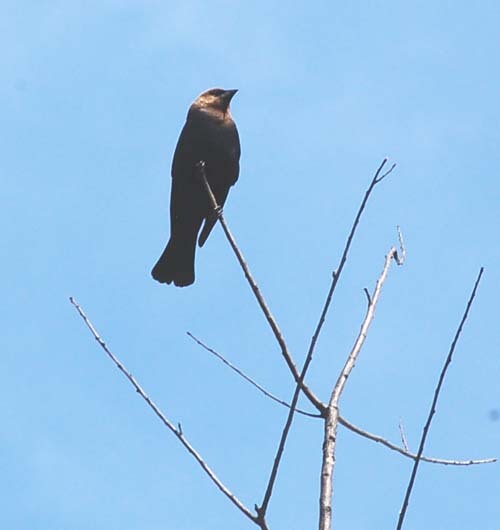 Each year more of its branches are bare, providing a high perch for many different species of birds. 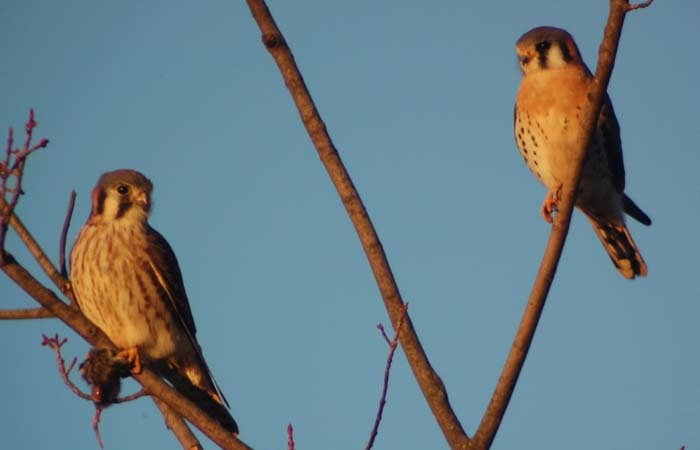 The second pair of kestrels nest in a box on the barn wall directly in front of the maple and frequently perch in the tree to pass a prey item or otherwise communicate. I witnessed purple martin young fledge simultaneously from several different gourds this spring and after spending a moment on the gourd rack, all fly directly to the ugly young maple, even though it isn't in the direct line of sight from their gourds. 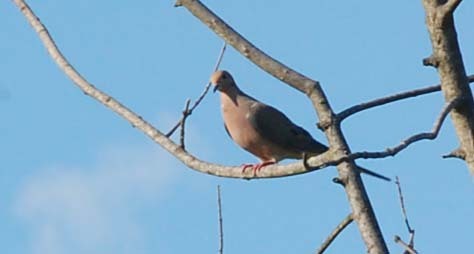 Adults were likely calling them from the tree or one may have led them around the wagon shed which blocked their view. Fledglings of other species also seemed to prefer this tree for their first destination, including cedar waxwings which nest in a tree only 20 meters away. While the purple martin fledglings only used the tree on fledge day, the barn swallow young spent a great deal of time there, waiting to be fed. 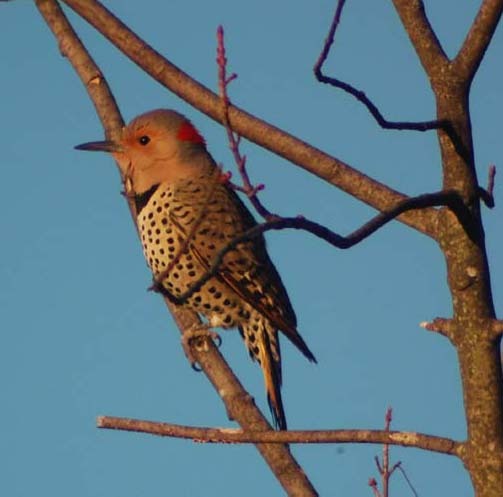 A pair of flickers also use the tree near their nest box when the kestrels aren't around. While a half dead tree isn't most people's idea of a natural attraction, (and I agree), my interest in this tree is it's apparent usefulness for many birds. There are times when birds don't want to be hidden in the heavy foliage of living trees. 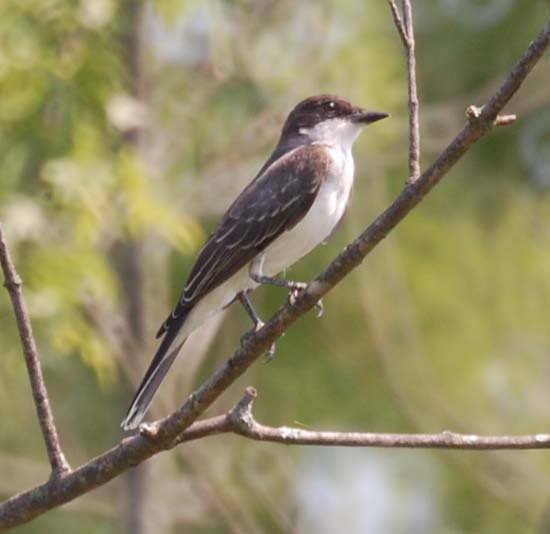 The kingbird uses the highest branch to proclaim his ownership of territory. 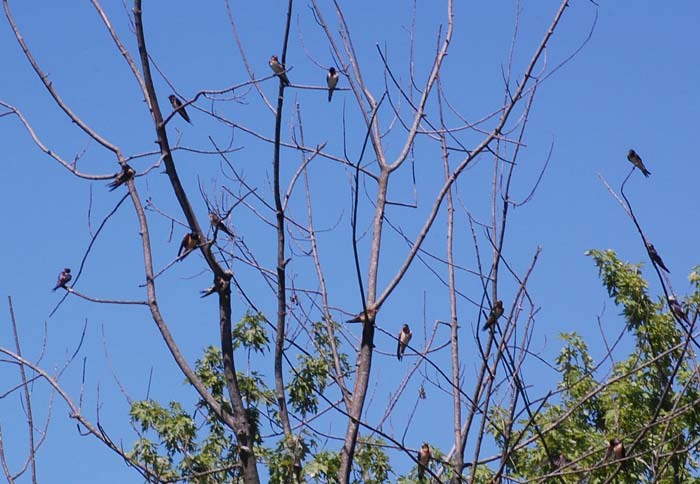 The brown thrasher sings relentlessly in early spring to attract a mate, and the martins and barn swallows often fledge to this tree. 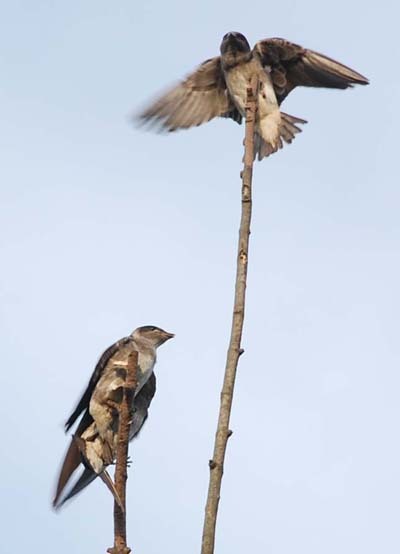 Unlike the snag, which usually has a rather short life, these small dead branches can linger for several years, And, snags usually don't retain small branches suitable for perching songbirds. 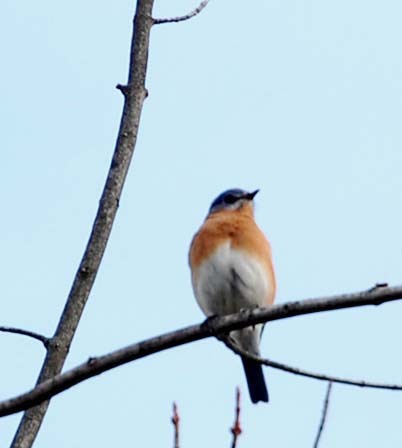 And, most artificial perches are much too low for singing. 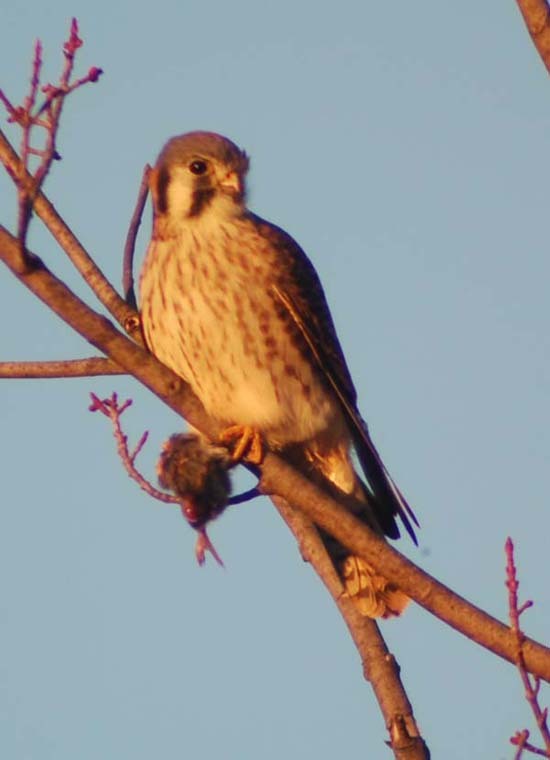 Snags, garden perches and upper dead branches all serve an important purpose.